Hero MotoSports Team Rally made an impressive start to their motorsport season with a podium finish. Team’s spanish rider Oriol Mena bagged his first ever podium in rally sport since his debut, just over a year back in 2017. The other rider from the team, Joaquim Rodrigues, was not too far behind as he finished just shy of a spot inside the top 3, at fourth position. 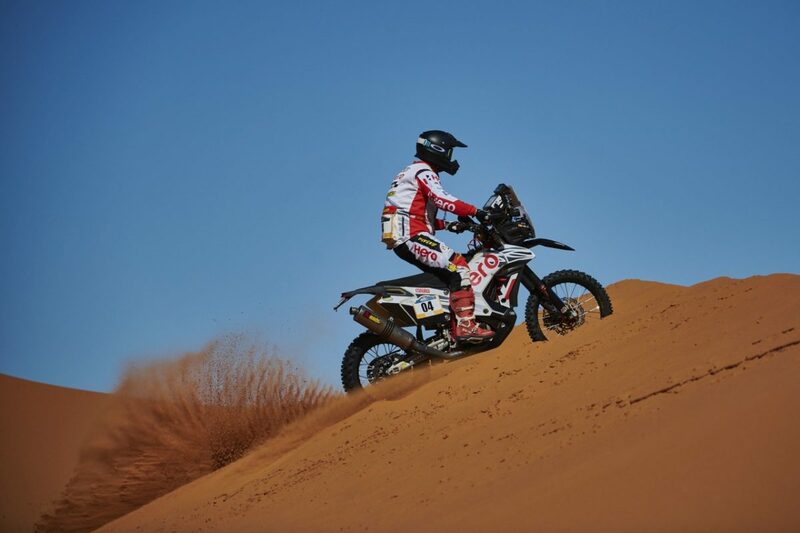 As Stage 5 brought the curtains down on the 2019 edition of the Merzouga Rally, Oriol and JRod delivered solid and consistent performances to keep the Team in the hunt for the podium. Mena was impressive as ever, near perfect in navigation and showing great temperament and understanding of the sport. J-Rod also pushed his performance levels higher with every stage.